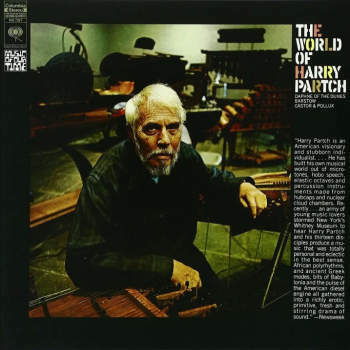 The World of Harry Partch is a seminal survey of the arch iconoclast’s efforts in consolidating the myriad voices which made up American 20th century music. 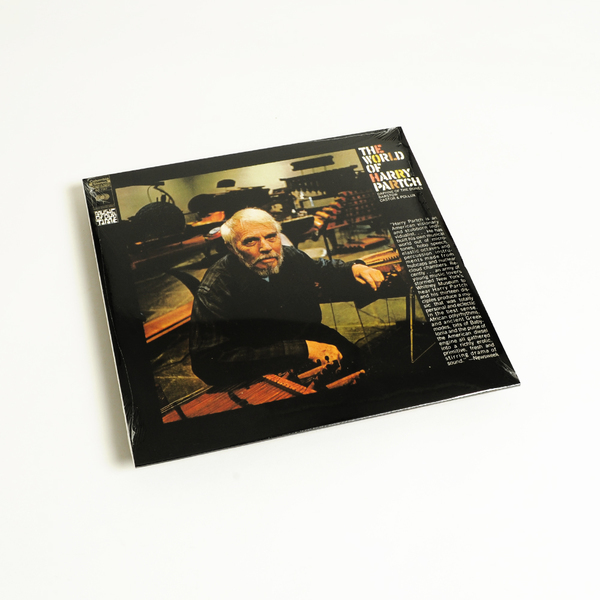 Collecting three of his famous shorter works, Daphne of The Dunes, Barstow, and Castor & Pollux, this LP is a perfect portal to Partch’s peculiar and radical fusions of Orientalist themes with African percussions and Hobo language. Most importantly it omits reference to the traditions of Western, European music which he believed constricted perceptions and definitions of a “true” American music. 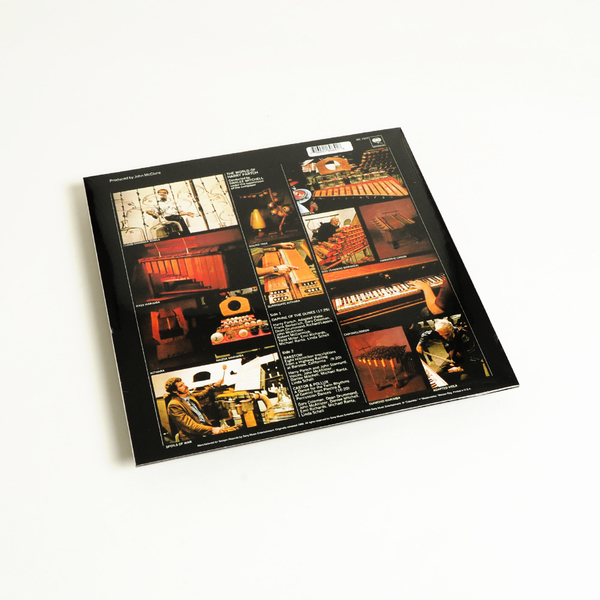 It’s best described in his own terms, as ‘ritual’ or ‘corporeal’ music, which both refers directly to the original intentions of the music he drew from, and to its physical nature, which eschewed electronics in favour of his self-built instruments and their tactile capacity for unique tunings. Of course, you can listen to these recordings without any prior knowledge of their provenance and totally enjoy them for their alien familiarity, but when taken in context of Partch’s philosophy, they really take on a whole life of their own. Dive in! “'Daphne of the Dunes' (1967) is a side-long update of 'Windsong' written for dance. The melodic segments are given more emphasis than usual for a Partch piece, and harmonically this is one of his best with arpeggiated glides/cries of the Harmonic Canons evoking our sympathies. Meter changes almost measure by measure, with one section in 31/16 meter; another (polymetric) section consists of 4/4-7/4 over 4/8-7/8! Needless to say, while being very physical, Partch's music isn't something you can easily tap your foot to. What's most important is that it works. Partch was not one to introduce musical complexity merely for its own sake, another factor that separated him from his contemporaries. Not only are the rhythms complex, but they are performed at a frantic pace unequaled by any music I've hard (save perhaps the inhumanly fast player piano pieces of Conlon Nancarrow! ).